90 degree bolt-on joint, often used to make additions or alterations to existing structures where a type 101 or similar cannot be fitted. 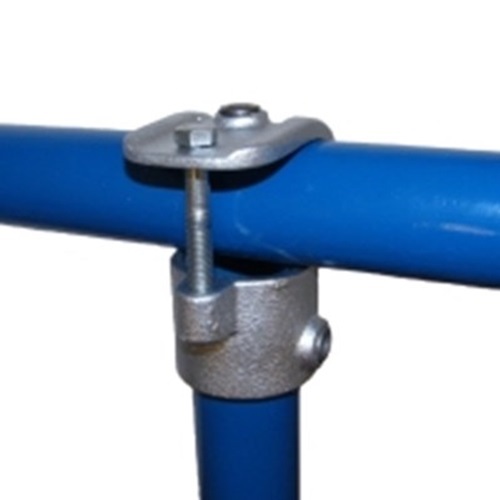 Type 136 is a similar clamp-on fitting offering a more flush finish. The through tube (horizontal in photo) cannot be joined within the fitting.